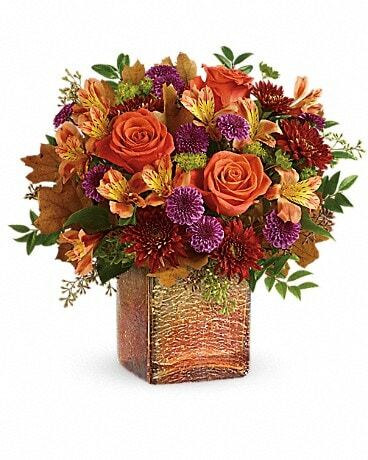 As colorful as Halloween candy! 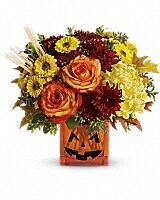 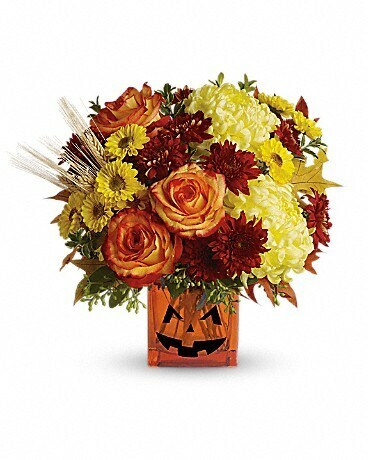 Yellow chrysanthemums are accented with bright orange roses and finished with eucalyptus and autumn oak leaves. 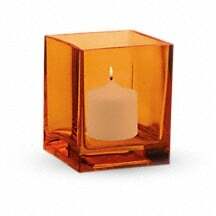 All in an orange cube adorned with a jack-o-lantern face that'll brighten and frighten! 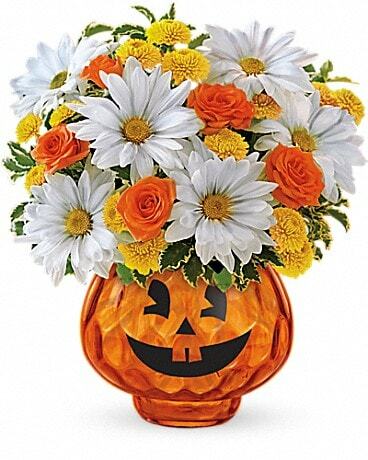 All treat and no trick! 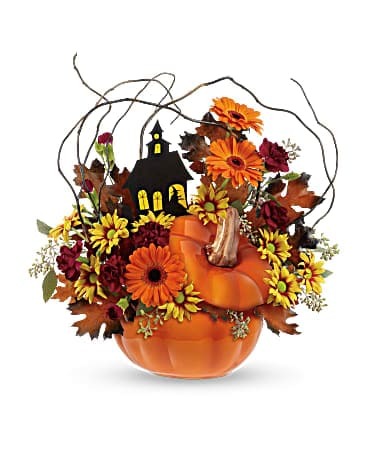 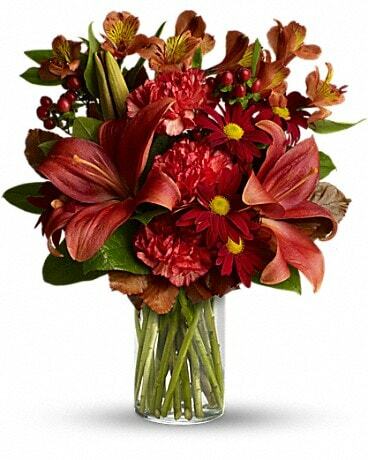 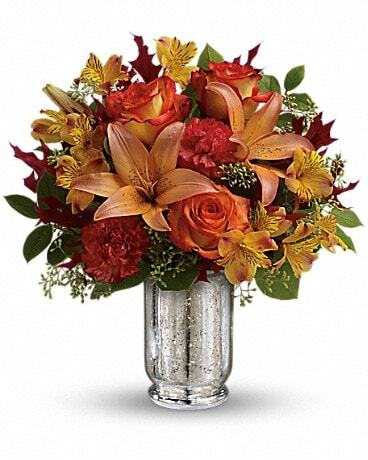 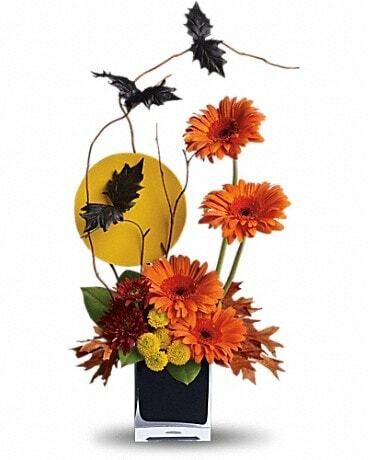 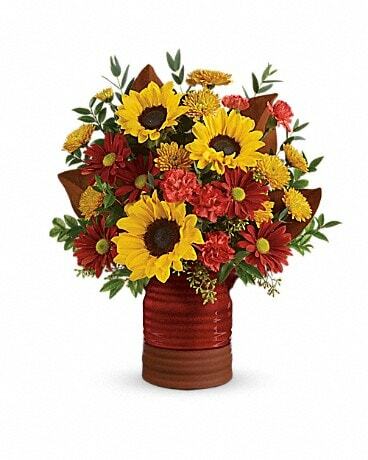 This bouquet features yellow chrysanthemums and orange roses, finished with eucalyptus and autumn oak leaves. 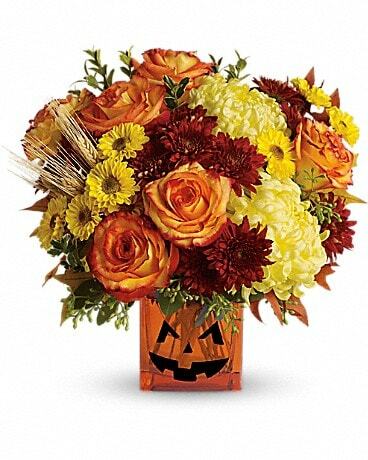 Delivered in an orange cube and adorned with a creepy jack-o-lantern face, it's as sweet as it is scary!